If you are planning on buying or selling a home, use Homeside Realty to view Louisiana homes for sale. Homeside Realty has the most complete index of Louisiana real estate listings on the web to help you find a home or get a sense of current property values. 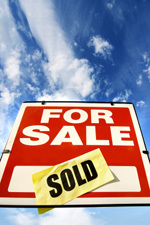 Our listings include houses for sale, condos, new homes and foreclosures. In many areas, we give you direct access to homes for sale through our Search Properties feature on this page. Homeside Realty makes home buying and selling simple, providing you direct access to the most current and complete list of properties for sale in Louisiana and nationwide.